sitting here in my NYC apartment, listening to the rain fall outside my window and feeling so damn grateful for where life has taken me. the lighting, because of the storm, was gorgeous today so it was a great opportunity to finally do this shoot for my collaboration with east//west gem co. and filles box. my journey to my ‘dream ring’ is honestly a hilarious one. when hubs proposed in january of 2014, i wasn’t in loooooove with the ring he proposed with but didn’t want to say anything because i was afraid of hurting his feelings or upsetting him. this story makes us, especially me, laugh so much now because of course he wouldn’t have been offended. he simply wanted me to have something that i loved. so, a lesson from early in our relationship: trust what you know about your partner. fun fact: when hubs asked my dad permission to propose (our families had already met and we’d already decided to get married) he literally had no idea what hubs was talking about. we were all at a dinner celebrating my med school acceptance that night (yes, it really was the most incredible and life changing week of my life alhumdulilah) and my dad pulled me aside to try to clarify so i actually had a heads up on what was about to go down, for which i’m grateful because i got to do my nails lol! shout out to my old roomie nashra for the assist and her fake errands at target ha. by the time i was finally honest with hubs about how i felt about the ring, it was too late to return it. just a couple months after our wedding i started medical school so it wasn’t really a priority anymore. most of the time i was just wearing only my wedding band anyway so it wasn’t really on my radar. then at the end of my second year, after i failed a block exam, i was devastated and needed a distraction. i started casually looking at wedding sets to pass the time and find a little joy in my life. 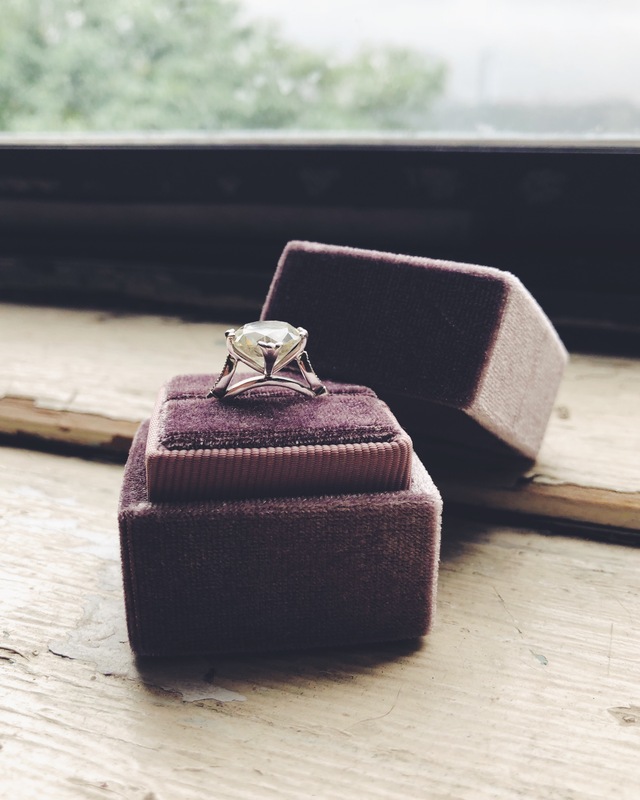 during the random conversations we had over the years, hubs shared his discomfort with the idea of natural and mined diamonds. 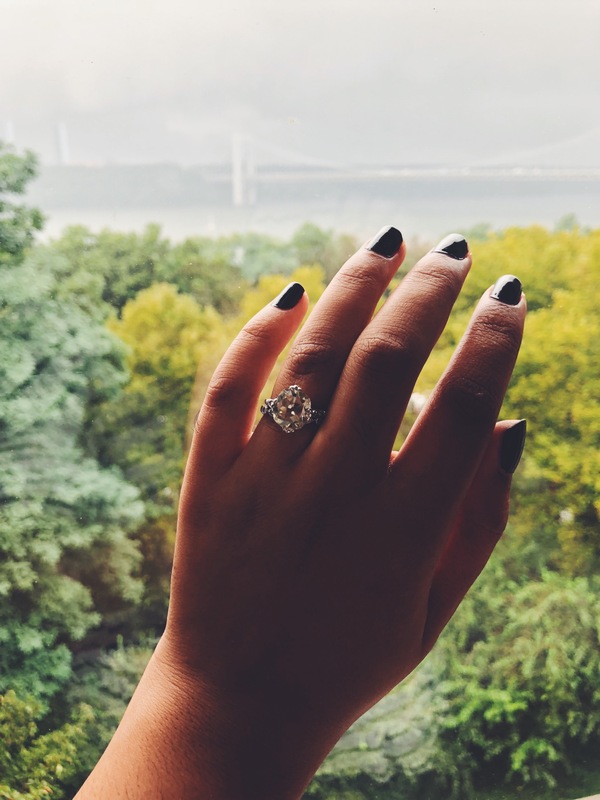 once i learned of the social and economic repercussions and manipulations involved in the industry, i knew i definitely didn’t want to participate in such an industry so i started looking at simulated diamonds and moissanites. in addition to being more friendly to mother earth and her inhabitants, i loved that the styles i liked were actually affordable for us. no shade to folks who choose to spend more but it just did not make financial sense for us, especially so early in our lives together. i had a brief two year stint with this gorgeous set (which is for sale!) but, once again, i’d settled for something that i didn’t truly love. as i started coming into my own with my style, i realized that it was too traditional for my taste. we’d also had a rough patch in our marriage during this time and i was looking for something fresh that did not bring back that hurt. of course, rings have absolutely nothing to do with the strength of a partnership. and, until recently, it felt like i had to choose between fighting for justice or indulging in the little things life has to offer but i’m learning that living fully is also an act of resistance. 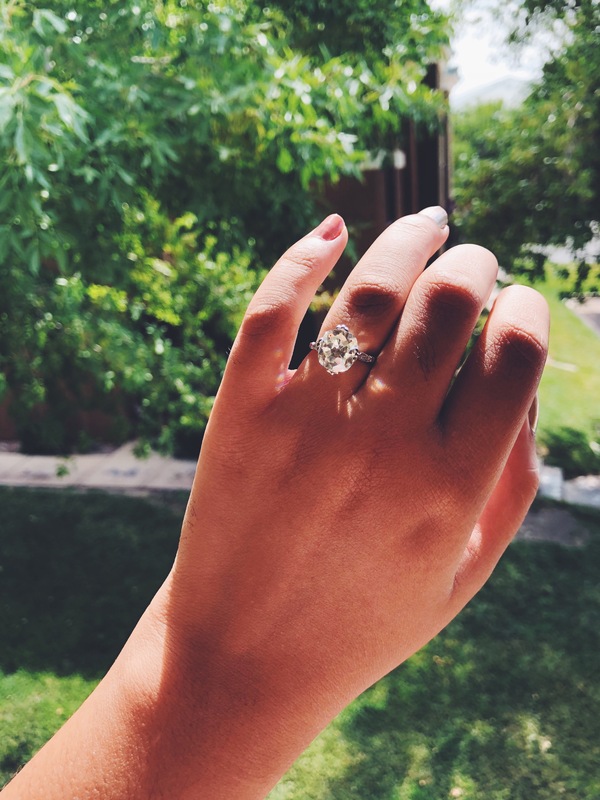 while studying for finals earlier this year i started perusing instagram and was falling in love with vintage designs, especially with old cut diamonds, and that’s when i stumbled upon east//west. i quickly fell head over heels in love with their harlow setting, one that reminded me of a vintage design i’d been lusting after for years. after finding out the company worked primarily with moisannites and was owned/run by a woman, i was sold. collaborating with them was an absolute dream. i was nervous about making this type of purchase online but i couldn’t have found a better company to work with. they checked in every step of the way and gave me something to be excited about while i was studying for step 2 ck. 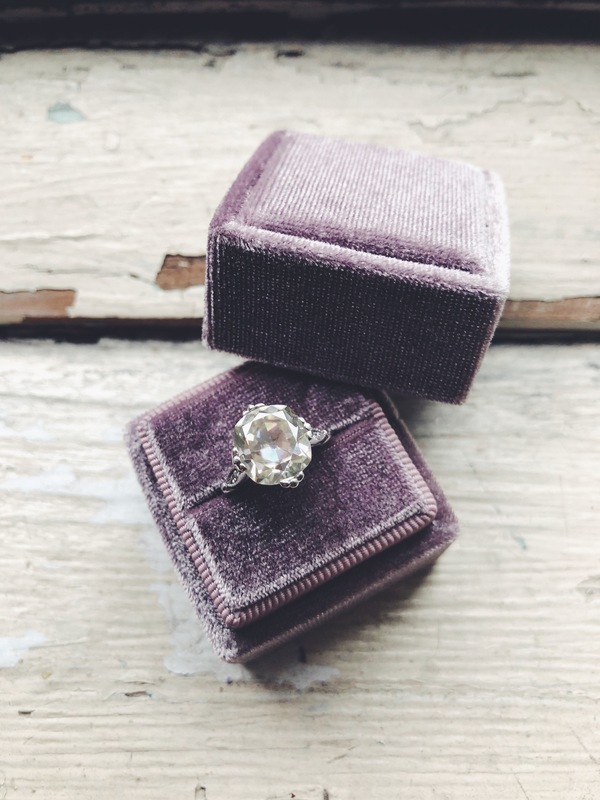 during my search for my dream ring, i also stumbled upon these gorgeous vintage inspired ring boxes by filles box, another woman owned and run company! this mauve color is absolutely stunning and i love the contrast it provides. i’ve paired my engagement ring with the a band by kay jewelers that is also vintage inspired. we finally were able to trade in the original ring hubs got me for this and another gold baguette band i wear daily as well. i wish i could’ve avoided mined diamonds altogether but that wasn’t an option with the exchange. now, every day, i get to look down at my hands and, when it feels like the rest of my world may be crumbling, remember how loved i am – that there is in one constant in a life that is always in flux. so here’s a video of this gorgeous future heirloom that i get to wear every day. hopefully this will be the end of the ring hunting for some time. i joke with hubs that he should be glad that my commitment issues are only with jewelry and not our relationship ha. honestly, i feel strange spending all this time writing about something seemingly frivolous like jewelry but as i mentioned earlier, sometimes self care is allowing myself to occasionally indulge in sparkly things. i realize i am privileged, to be able to spend money on something like this. i’m still grappling with the consumerism of it all and want to reiterate that the value of a partnership can never be defined by a material object. and i also don’t want anyone reading this to think that a ring, or even the partnership that comes along with it, is the only thing to aspire to because there is so much more to this life. edit: because of the high profile, the prongs get caught frequently and after regular wear one of the prongs broke off. the jeweler who repaired it mentioned that the prongs should be thicker and that it may happen again. 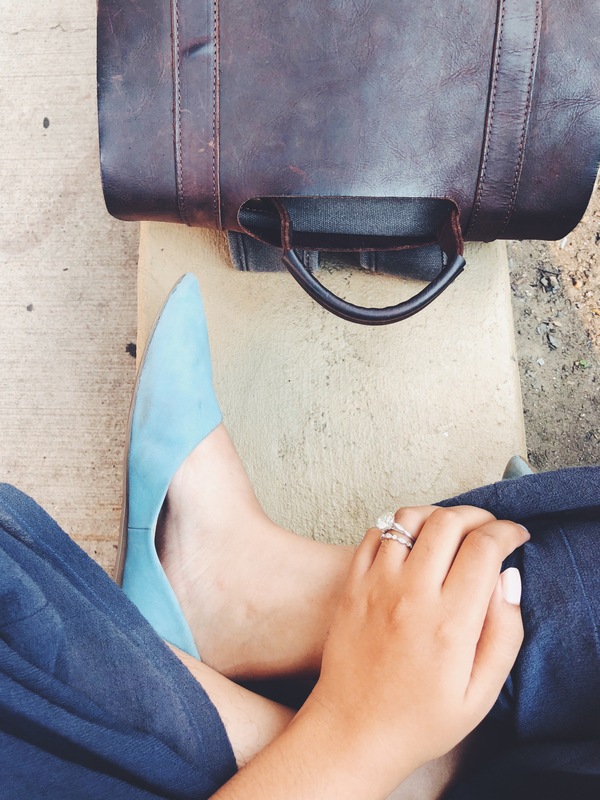 while i love how dainty the ring is, i’m wary of wearing it all the time because of this and felt it was important to update this piece on my collaboration with east//west gem co. accordingly. Hi there! I'm Anum - muslim, medical student, wife, cat mama, writer, wanderer, advocate of social justice and many other things I'm still figuring out. Here you'll find a bit about my journey to becoming a healer. Thanks for joining me in my little corner of the internet!